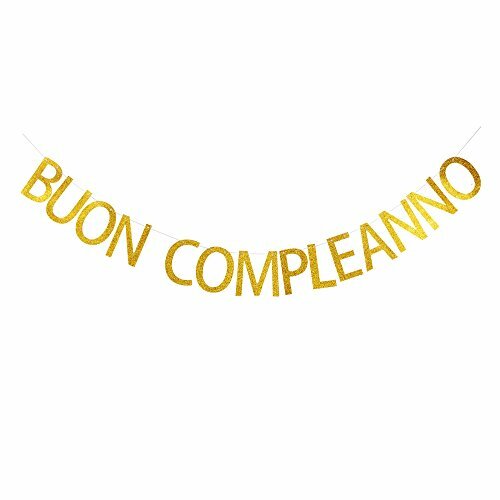 Buon Compleanno Banner, the package include 14pcs of cardstock and 1pc of string. Letters are each 5.3" ( 13.5cm )tall and roughly 3.55"( 9cm ) wide. EASY ASSEMBLY: string through the pre-cut holes on the cardstocks and hang it up. Hang from a party table, accross a wall, inside a party tent, in the hallway or on the tree. High quality and super shiny gold gliter paper cardstock, simple and elegant, perfect for birthday Party decorations. If you have any questions about this product by GRACE.Z, contact us by completing and submitting the form below. If you are looking for a specif part number, please include it with your message.